Today was a fun filled day! 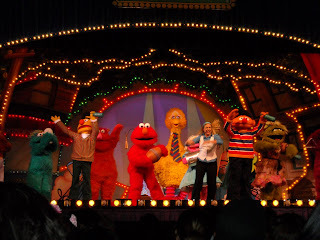 Elmo and the gang, was a great family outing! Noah was so excited, he could hardly wait to get to Jackson this morning. He had the biggest SMILE :) on his face all day long. Dunc, Anna, Aunt Christy, Kaitlyn, and Nana went with us. We had a ball just sitting back and watching him. I would have to say Anna (13) and Kaitlyn (8) had a big time too! 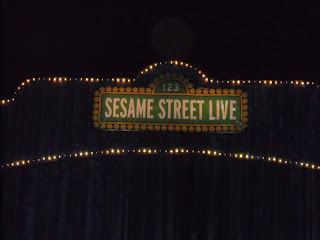 Christy and I were raised on Sesame Street, so the kids could not believe we could sang every word to the songs. That was cool to them! (Ha!Ha!) 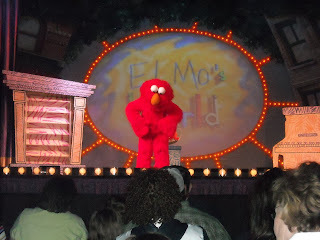 We took them to Garfield's to eat and then on to Elmo. 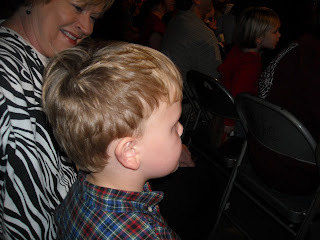 Here are some of our pictures of the fun family time we had. 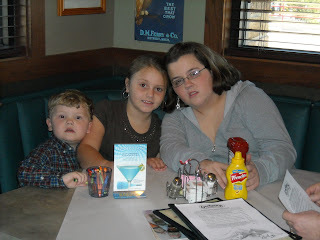 . .
Noah (3), Kaitlyn (8) and Anna (13) at Garfield's eating getting ready to go see ELMO and the gang!